US private equity giant Blackstone has bought Dublin’s Burlington Hotel for €67 million. The hotel continues to trade successfully despite being in receivership. Several international groups who bid for the four-star hotel were informed earlier this month that they had been unsuccessful. The Blackstone Group bid for the hotel was a long way from the €288 million paid for it in 2007 by property developer Bernard McNamara. Blackstone is expected to spend in excess of €16 million on refurbishing and rebranding the hotel, which is then likely to trade as part of the Hilton Group. Five years ago the American buy-out group acquired the Hilton Worldwide hotels empire for $26 billion (€20 billion). Blackstone will have the option of upgrading and rebranding the Burlington as a five-star Waldorf Astoria hotel or as one of a number of other brands, including Conrad, Hilton, Doubletree or Hampton. 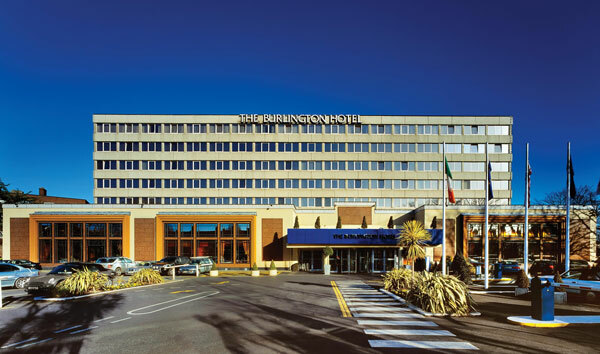 The Burlington is the second-largest hotel in Ireland, with 501 bedrooms and extensive conference and banqueting facilities on a 3.8 acre site on the city’s south side. 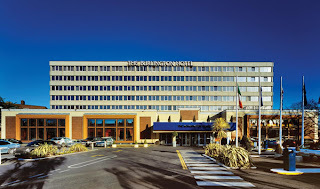 The hotel made profits of more than €5 million in 2011 when the room occupancy rate was running at 70-75 per cent. A large proportion of the profits come from the large-scale banqueting hall, which can accommodate up to 1,500 guests. Mr McNamara was one of the biggest casualties of the property crash, with overall debts of €1.5 billion. He had planned to increase the value of the Burlington complex to €1 billion by developing a complex mainly consisting of office and retail extending to 33,300sq m.
Agent CBRE Hotels publicised the sale of Burlington in Europe and the US in the knowledge that an Irish purchaser was unlikely to emerge in the present economic climate. Paul McCann of Grant Thornton was appointed receiver to the Burlington by Bank of Scotland (Ireland).